This week as I suddently had open time at 8pm and 9pm on Friday, I sent a message to many students informing them that we would have a free-talking time or as we like to call it a “Night Out” at the nearby cafe Shunju Cafe. 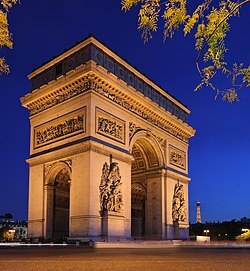 This week’s theme was famous sites in Paris. This week 4 students joined me and we enjoyed coffee and conversation for an hour and a half. I started the discussion by asking who among them had been to Paris. Only one had been there before. He also had spent some time in London but said that his trip to Paris was at a different time. I had my PC so we checked Paris on Google Earth and looked at the Arc de Triomphe and the Eifel Tower. The other three students said that they really were looking forward to going to Paris in the future but did not have a plan to go this year. One of the students shared pictures of her trip this spring to Guam with her friend. The other student had recently traveled to Seoul and done a lot of shopping. One of my student brought her friend and she told us about her trips to Cambodia, Vietnam and Thailand. She has a diving license, really enjoys diving and had spent a lot of time on Koh Tao in Thailand. She said she was hoping to go to Peru to see Machu Pichu. We spent a fun one and a half hours talking about travel and took a few pictures that I will show here.